Luxetips Travel! Espa Spas: Luxe and Natural « LUXETIPS! | Every Woman Deserves To Live The Luxe Life! Always find time to relax from the everyday stress of life! And speaking of relaxing from the everyday stresses of life, a spa visit is something we all should do at least once a year. I say once a year, because they can sometimes be expensive and they are certainly a luxury. But if you are on a budget, save money to treat yourself to one fabulous spa day per year. Espa Spas are luxurious and more importantly feature all natural products and therapy methods. The Espa brand has 350 spas in over 55 countries. Wow! Each Espa spa features a reflection of the spa’s environment – the city, geography, and culture in which it lives. Here are a few of the Espa spas that I particularly love. Check them out! 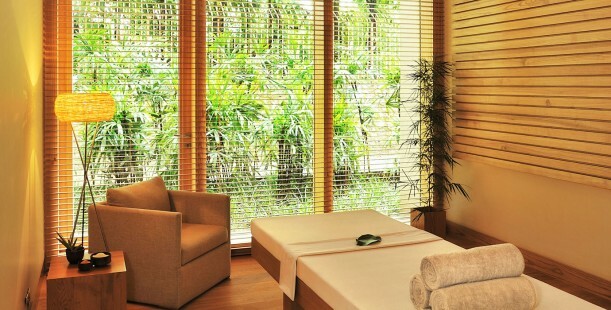 As the first branded spa in the Mexican Carribbean, Nizuc Spa by ESPA features an astonishing 30,000 sq. ft of wellness facilities. Facing the Carribbean Sea, the spa includes private suites for couples, a movement studio, and a spa cafe. Hydrotherapy treatments, coed exterior spa pool, and a fusion of advanced European therapies layered with ancient Mayan healing rituals are among other features. This 18,000-square-foot, two-level haven features 11 treatment rooms with three distinct relaxation lounges, a co-ed meditation room, sauna, eucalyptus steam rooms, hot plunges and heated lounge chairs. In addition to the pre-existing salon, fitness center and smoothie bar, which have contributed to Vdara’s recent Forbes Travel Guide Four-Star rating, this lavish destination will continue to promote holistic health and overall well-being for its guests. This extensive spa is set over two floors, with a design inspired by combining different energy forms with Dallas glamour to create the ultimate Urban Escape. The subterranean level of the spa lends itself to geothermal inspiration with ground-breaking European heat experiences that will take guests through a healing journey of temperature changes.